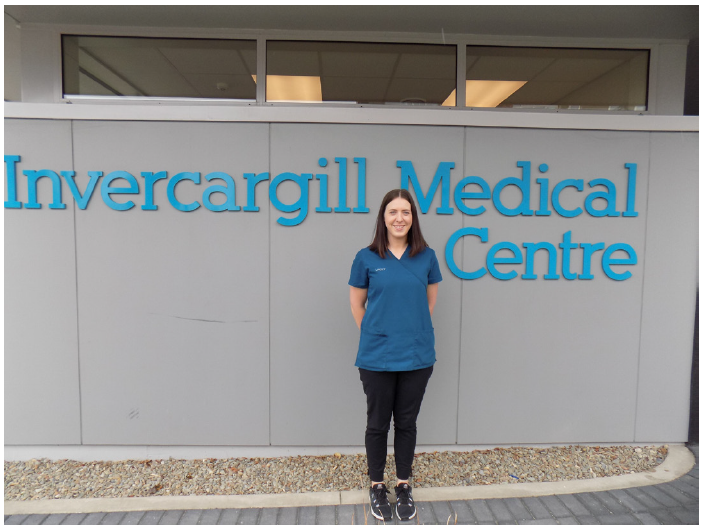 Lacey Easson is a health care assistant (HCA) at Invercargill Medical Centre, Invercargill’s largest practice and one of the largest in the South with over 12,000 patients. She has just graduated from Careerforce’s Primary Care Assistance apprenticeship programme with a Level 4 Certificate in Health and Wellbeing. We asked her about her training and the difference it had made to her work as an HCA. What tasks can you do? Lacey Easson, HCA at Invercargill Medical Centre completed her Apprenticeship in Primary Care Practice Assistance with flying colours. more complex recalls such as ADR’s etc. I am also in charge of our monthly INR auditing process making sure patients are on track and up to date with their INR testing. What has been the experience for the practice of having you? different clinicians including internal staff and external visiting health professionals. I was able to implement a room roster board which has really helped with the overall organisation of the practice. My role supports nurses with their routine and overdue tasks/recalls. I think it’s important for management and nurse leads to support the HCA role and encourage the training in order to make the role appear in more practices. I’ve had strong support of our management and that’s been great as the role continues to evolve. How was the Careerforce programme? Overall, I enjoyed it and it was relevant to my work. I had some background in health care, and even though the programme is designed for people with no such background and starts with the basics, it was still useful for me. The 13 modules included cultural practices, Te Ao Māori, medical record processing and the role of primary care in NZ. The modules include critical thinking and research, so it’s not all task training. I would have liked more practical and clinical content as there was just one module on this. It’s important that the practice provides a skills plan for the trainee to work through – and this gives the practice quite a lot of choice in what skills they want their HCA to have within their scope. I thought the course was well-run. We had an online dashboard and training tool. The modules can be done at your own pace and there are no fixed sessions. I had a training advisor that was in regular contact onsite and via email which was really helpful. It took me around 18 months to complete, but to be honest I could have done it faster if not for wedding planning and a holiday in between! IMC gave me two hours a week to work on the course and depending on the module, I did at least a couple of hours in the weekends or after work. What do patients think of seeing an HCA?